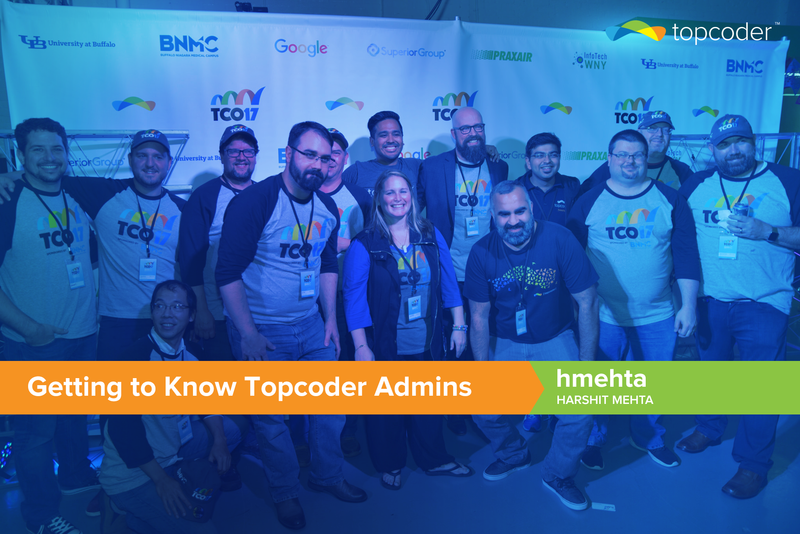 Getting to know Topcoder Admins: Meet hmehta – Harshit Mehta! Harshit was born to work with the community. He brings so much passion and energy to our team and is a dream to work with. He’s always got the community in the forefront of his mind and has amazing visions and ideas for improving things as well as pumping up TCO. Which promotion method has proved to be the most efficient in attracting new members? Interacting with the community members personally and knowing about them: what they are doing, where they are facing issues helps in the best way. By being out there, attending and organizing university events or regional TCOs, I get to understand how and where Topcoder can help them become better. This is something that comes naturally to me and I love every moment of it. Budding programmers like the competition part of the contests and challenges. I try and motivate them to compete and become better. The skills and knowledge they can gain while competing at Topcoder for all the big industry giants, is something they can’t acquire while working within a set corporate structure. You’ve been attending and organizing a couple of regionals events in the last 3 years. Which one was your favorite and why? It’s actually very difficult to decide, every regional has its own freshness and uniqueness. Also, onsite contests have their own excitement. Looking at the competitors and leaderboard during the nail biting moments is something which is always thrilling. 2015 Topcoder Open Russia Regionals was my first regional and also the first ever Topcoder Open Regional. Russia, China and Poland Regionals are Algorithms focussed. The arena is full of reds and yellows and every moment of the contest is exciting to watch. Indonesia regionals are those interesting long fought battles where the members compete for 2 days to get a berth to the TCO Finals. India Regionals are very close to my heart. I get to meet a lot of members throughout the year in Universities or meetups and thus seeing them again in India regionals is an amazing feeling. Also the event allows the Topcoder India team to come and work together to make it a grand success! During the regional events, who has the ultimate control over arena administration? T-mac takes care of the arena and the contest from the backend. However, sometimes I jump in to help him wherever possible. What’s the most difficult/challenging thing you do as the Community Evangelist? How do you push yourself to become better? I started my career as a community evangelist and I am learning everyday to become better(at least, I hope so) and keep the community happy and make the members more productive. The most challenging thing is to try and take everyone’s opinions and ideas into account. Sometimes there are members with different viewpoints. So, I try and interact with the community more and more to know what they need and how I can help them out. Knowing the community more, learning about what they want, where they are facing problems, and things they are happy about, helps me in preparing the next set of campaigns. I push myself with setting targets. The Topcoder team and community is like a second family. Working for the betterment of the family is something that comes for within. The diversity and the bond between community members. I never see members after a fierce SRM, getting up and moving away from each other. They always come together and discuss problems and ways to improve for each other’s improvement. As a community evangelist, you must certainly have interacted with many new members. What would you say is the biggest obstacle they have, when they want to join Topcoder? What’s your strongest argument to convince them? Most of the new members get a little demotivated looking at the already existing members doing so well and if they fret about reaching to that level and win. However, it’s all about learning from those who are on top, taking a pie out of their cake and take yourself reach that point. For new members, I always stress on thinking of Topcoder as a place to grow their skills. Money will come in eventually! Do you attempt to solve the tasks from SRMs/Regional events you coordinate? What is the most rewarding thing in your job? Yes, I try and solve the questions, and then I am looking at the solutions. At University contests, it helps me guide the newbies to approach the question/problem. The most rewarding thing is to connect with these University kids. It’s amazing to sit with them and talk through various algorithm problems. Other than Topcoder, I love to travel. Exploring new places and cultures is one of my hobbies and the best part is that my job allows me to do that. Other than that, I am exploring Big Data and spending time in the area. I used to do dramatics in my high school and college and I’m trying to revive that hobby and join a drama society. What is the funniest thing that has happened to you within the Topcoder community? I have had various fun moments to share from TCO Regionals and University events. Everytime I am back from a regional or University event, I have some funny story/anecdote to tell to team. University events have there own element of fun. Seeing members sleep during Hackathons, waking up in the middle and coding. I have even seen members celebrating after challenging their senior’s code in Universities. Butter Chicken Dinner Table discussions with the community members ;). 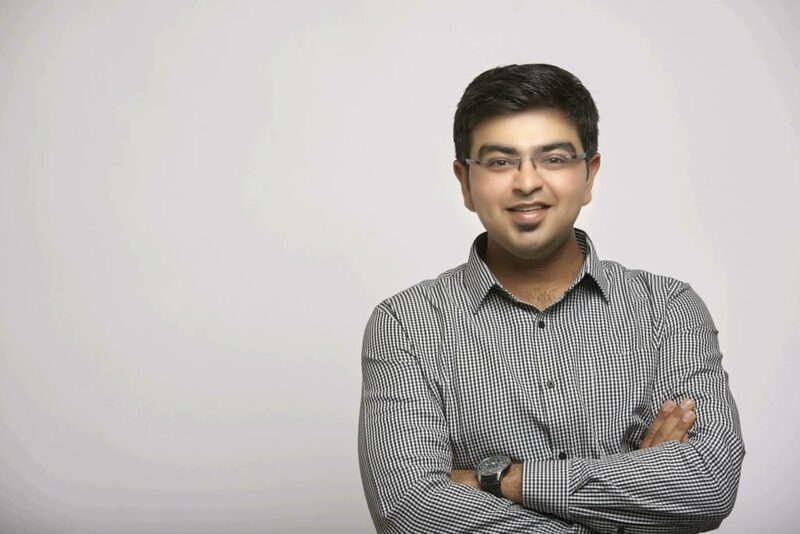 Getting to know Topcoder Admins: Meet rsial2 – Rashid Sial!